Bologna faces Roma in a match from the 5th round of the Italian Serie A. Let’s examine this clash which is going to be played at the Stadio Renato Dall’Ara on Saturday afternoon. Bologna didn’t start the new season in the Calcio very good. The Rossoblu are currently 18th in the league standings, being in the relegation zone with just one point won so far. Their record shows one draw and three defeats. The only point Bologna won so far was against Frosinone in the second round. Meanwhile they suffered defeats against SPAL, Inter and Genoa. 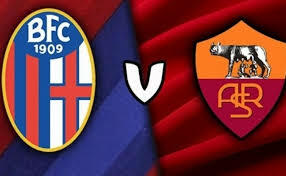 In the previous round Bologna travelled to face Genoa, but suffered a 0-1 defeat. The only goal in the game was scored by the Polish striker Krzysztof Piatek. 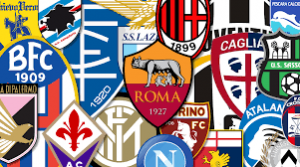 Roma are currently 11th in the Serie A standings with 5 points won from 4 games played. This was not the best way they could have started the new season for sure. In the first round the Wolves won against Torino away from home, but in the next three games they were unable to take the win against Atalanta, Milan and Chievo. In the previous round Roma made a dissapointing 2-2 draw at home against Chievo. The home team had an advantage of two goals after Stephan El Shaarawy and Bryan Cristante’s strikes, but Chievo managed to equalize after goals from Valter Birsa and Mariusz Stepinski. During the week Roma had a game in the Champions League as well. The Wolves faced the holder of the trophy Real Madrid at the Santiago Bernabeu, but suffered a heavy 0-3 defeat. Clearly Roma didn’t start the season very good. Of course, there’s enough time for them to improve. We are sure that Eusebio Di Francesco will find a way to make it happen. But surely this is a good chance for Bologna to take something from this match.